Children’s Bamboo Toothbrush – Meet the Tiny Truthbrush! Our beautiful tiny scaled down Truthbrush is perfect for children under the age of about 8. 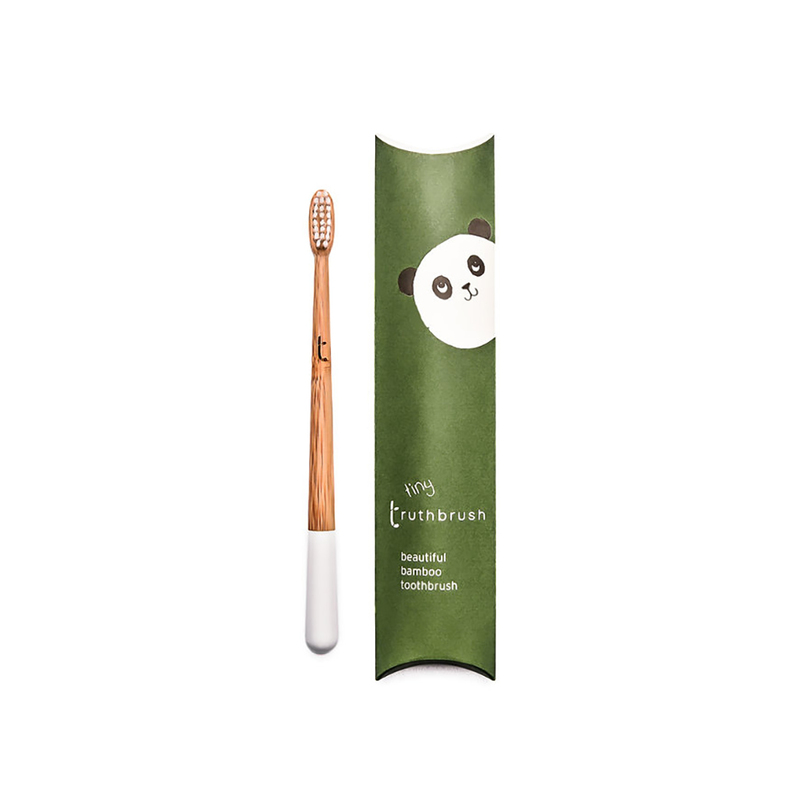 This brush has our new soft plant based bristles which are 62% castor oil and 38% nylon. The sweet panda on the packaging was designed by our friend children’s author and illustrator Jane Cabrera.